Dr. Drake Spaeth has worked in diverse clinical settings such as the US Air Force, outpatient and residential treatment centers, detention centers, hospitals, and universities. 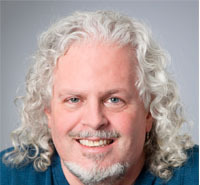 His clinical, professional, and academic interests include religious and spiritual issues in psychotherapy, contemporary nature spirituality, ecopsychology, humanistic/existential approaches to counseling and psychotherapy, constructivist philosophy and psychology, lifespan development, trauma and secondary traumatization, social psychology, and violent/criminal behavior. Dr. Spaeth's interest in humanistic/existential concepts and social issues and problems form the foundation of what is ultimately for him an integrative and phenomenological approach to counseling and psychotherapy. However, he also endeavors to foster in students a respect for the importance of empirically-informed case conceptualization and clinical practice. Dr. Spaeth is a graduate of The Chicago School of Professional Psychology and has served as adjunct faculty both at The Chicago School and Elmhurst College. He joined the Counseling Department as Assistant Professor in September 2006. He was promoted to Associate Professor in 2012. Spaeth, D. (2013). The psychospiritual roots of adolescent violence: The importance of rites of passage (revised and updated). In D. Polizzi & M. Braswell (Eds. ),Transforming corrections: Humanistic approaches to corrections and offenders and offender treatment(2nd ed.). Durham, NC: Carolina Academic Press. Spaeth, D. (2009). The psychospiritual roots of adolescent violence: The importance of rites of passage. In D. Polizzi & M. Braswell (Eds. ),Transforming corrections: Humanistic approaches to corrections and offenders and offender treatment.Durham, NC: Carolina Academic Press. Spaeth, D. (2009). Celtic shamanism. In D. Leeming, K. Madden, & S. Marlan (Eds. ),Encyclopedia of Psychology and Religion. New York, NY: Springer Press. Spaeth, D. (2009). Celtic spirituality. In D. Leeming, K. Madden, & S. Marlan (Eds. ),Encyclopedia of Psychology and Religion. New York, NY: Springer Press. Spaeth, D. (2009). Psyche. In D. Leeming, K. Madden, & S. Marlan (Eds. ),Encyclopedia of Psychology and Religion.New York, NY: Springer Press. I believe that students generally learn less from an exclusive emphasis on lecture and more through modalities such as active and lively discussion with faculty and each other, experiential participation in small and large group activities (such as presentations and role plays), and active application of educational concepts to "real life" examples of current and personal relevance to them. I try very hard to bring enthusiasm and humor to my teaching style, as I feel that "like begets like"--students will become passionate about psychology and counseling when faculty authentically show an active investment in such things themselves. Just as the quality of therapist genuineness in the counseling and psychotherapy context encourages growth and transformation in clients, I believe that students grow professionally when faculty work hard on being authentic, integrated individuals themselves. Students will be motivated to learn when they observe the positive benefits of such learning in an immediate and concrete way. Humanistic/existential/transpersonal psychology provides a substantive foundation for what is ultimately for me an integrative, empirically-informed emphasis on creating a context for positive therapeutic change. In the seventh grade, I read a copy ofThe Portable Jung,edited by Joseph Campbell. I understood maybe a third of it, but what I did comprehend spoiled me for any other possibility as a career. Graduate training in psychology is rigorous--take care of yourself but do not gloss over or fail to avail yourself of the singular apportunities offered here. Moreover, do not be shy about flexing your wings and showing your talents and interests.